Assessing Math Concepts is a nine part series of assessments that focus on core concepts that must be in place if children are to understand and be successful in mathematics. The information that is gathered and organized helps the teacher’s awareness of the important steps in the learning process and provides information for instructional decision making. 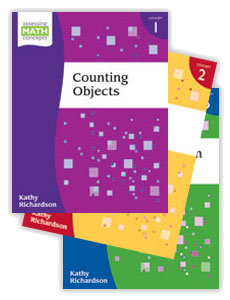 For additional information on Assessing Math Concepts, please visit us at www.assessingmathconcepts.com.